This stunning semi-detached house is located within the prestigious Great Woodcote Park. The property benefits from having a very well proportioned main reception room, downstairs toilet and separate kitchen which leads onto a conservatory. The addition of the conservatory can be used as a secondary reception space but is currently being used as a dining room. On the first floor you have two good sized bedrooms and two bathrooms. The master bedroom benefits from having integrated wardrobes and its own private balcony over looking the fields opposite the prestigious development. Great Woodcote Park is a gated development with manned entrance and is located within close proximity of Loughton Central Line station, which offers easy access into London. Also within close proximity is the ever popular parade of shops on Loughton High Road with its comprehensive range of shops, delightful boutiques, eateries, bars and restaurants. Further local amenities include Loughton Leisure Centre, healthcare practices and Marks and Spencer’s. By car M25 (junction 26) and M11 (Junction 5 – Southbound) are within easy reach. The area offers a range of access to primary and secondary schools, both private and state. Consumer Protection from Unfair Trading Regulations 2008. 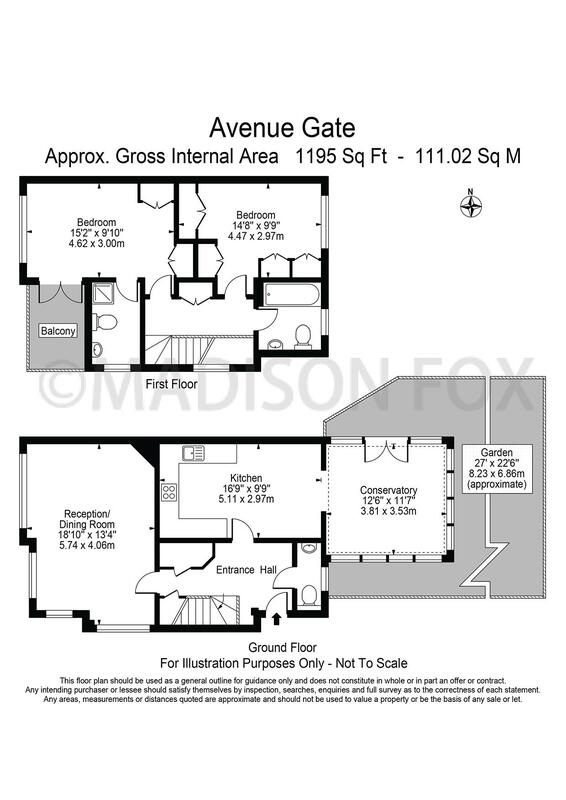 Madison Fox have not tested any apparatus, equipment, fixtures and fittings or services. A Buyer is advised to obtain verification from their Solicitor or Surveyor. References to the Tenure of a Property are based on information supplied by the Seller. A Buyer is advised to obtain verification from their Solicitor. Items shown in photographs are NOT necessarily included unless specifically mentioned within the sales particulars, they may however be available by separate negotiation. Any mention of Planning potential is based on the current owners opinion, unless stated otherwise a potential buyer should assume that this is a speculative opinion only and is not based on planning permission being granted or professional advice. Buyers must check the availability of any property and make an appointment to view before embarking on any journey to see a property.